Radioactive water pollution, coming to a tap near you? Alpha particles are a form of ionizing radiation that is given off by radioactive materials such as uranium and radon. These particles are finding their way into our water supply in ever larger amounts thanks to the Fukushima disaster and fracking . Alpha particles are energetic helium nuclei that are given off by decaying radioactive materials such as radon gas and uranium. Radon gas is naturally occurring in some areas, it is trapped in bedrock formations underground and is given off in small amounts that can sometimes be detected in drinking water supplies. The EPA limits the amount of alpha particles allowed in water, and can require a municipal water authority to take action to correct high levels of alpha particles. Recent reports indicate that large releases of radon into drinking water supplies in the US are being caused by a natural gas/oil extraction process in wide use called hydraulic fracturing, or “fracking”. The State of New York recently suspended all fracking operations in that state over concerns that significant amounts of radioactive materials such as uranium and radon are showing up in New York water supplies. Other sources of radioactive drinking water pollution include nuclear power plants and uranium processing facilities. Alpha particle radiation is present in most drinking water supplies, and the problem is getting worse. Ongoing radioactive fallout from the Fukushima nuclear disaster and water pollution from widespread fracking operations are expected to increase the levels of alpha particle activity detectable in water for years to come. The problem is worse in some states than in others. The destructive effects of alpha particle radiation from polluted water supplies will build up in your body over time. Ionizing radiation causes cellular and DNA mutations which give rise to many forms of cancer. Some of the most common forms of cancer attributed to ionizing radiation include Leukemia, thyroid cancer, and some lymphomas (blood cancers). Life Ionizer’s Dolphin Whole Home Filtration system has been tested and proven effective against radon gas. Unfortunately, Federal Law prohibits Life from testing filtration systems against uranium contamination. However, our Charged Modified Composite Blend filtration media uses ion trapping, which is an effective method for filtering radioactive water pollution. Reverse osmosis and ion exchange systems have been shown to be effective at treating small amounts of water for radionuclides. Unfortunately, neither method is capable of treating the entire water supply for a home. For the best protection possible, whole home filtration such as Life Ionizer’s Dolphin Whole Home Filtration system should be combined with Life’s Five Stage Reverse Osmosis System to achieve the greatest possible reduction in radioactive water pollution. Activated carbon filters are another method that is effective against radon gas. Life’s entire line of water ionizers come with activated carbon filtration, and a free pre-filter that work in combination to protect you from radon gas. 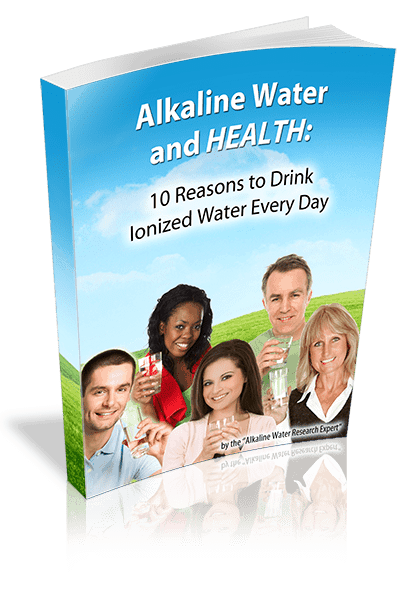 Alkaline water from a Life Ionizer has the added advantage of helping you flush built up toxins from your system which could help prevent an accumulation of radionuclides in your body. This article should not be relied on to determine if radiation is in your water. Call us at 877-959-7977 for a free evaluation of your local water quality report to see if you may be risk for radiation in your water supply.